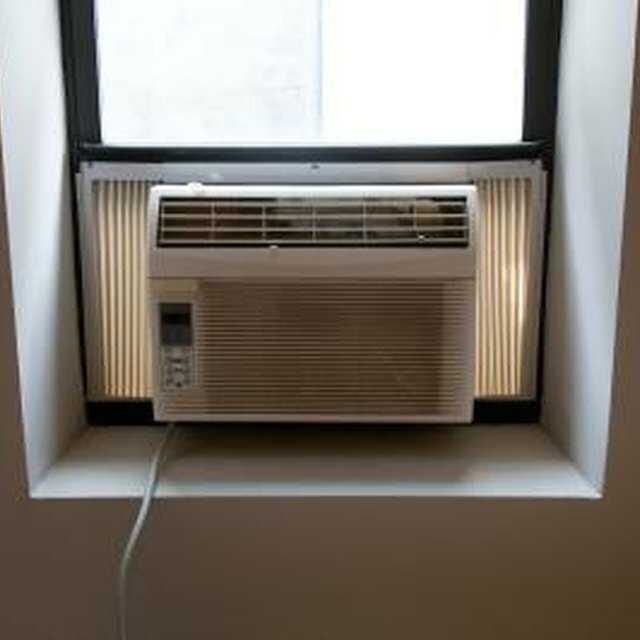 When you leave for work in the summer, you may wonder whether it is best to leave your air conditioner running while you are away or to turn it off completely. The correct answer depends on how important it is for you to come home to a cool house. Sometimes it can be better to leave it on, and sometimes it can be better to turn it off and flick it back on when you come in the door. There are different ways of looking at the issue to determine which is right for you. You may wonder whether turning your AC off will actually help your energy usage. According to the US. Department of Energy website, it is a misconception to think that an air conditioner has to work significantly harder to cool a room back down when the air is turned off during the day. This leads some people to believe they need to leave the air on, but in reality the cooling or heat loss to the outside of your home slows significantly as the room and the outside air temperatures get closer together. The fact is, if you turn off the air, you will use less energy and save money. The recooling process will not be more costly than the amount you saved turning it off. You can always leave your air conditioner on while you are away and simply change the temperature settings. If you do not like arriving home after work to a stuffy house, you can adjust the thermostat on your central air up a few degrees to save some energy and money. By raising the thermostat 10 to 15 degrees for 8 hours during the time you are away, you can expect to save between 5 and 15 percent on cooling bills. The same applies to your heating bills in the winter if you lower the thermostat by 10 to 15 degrees. There is an exception to the rule when it comes to turning your air conditioner off or down when you leave. Some areas have what is known as a Combined Advantage rate plan or a Demand Advantage rate plan. Homes on this type of energy usage plan are charged a higher rate for peak usage times, usually in 60-minute intervals. So if you turn off your air conditioner all day and then come home and turn it on, it will run for a large portion of the first hour and may create a high demand that will be tallied on your electric bill at a higher rate. For these homes it is definitely best to leave the air on and perhaps slightly adjust the settings. Perhaps you are confused on what to do about your fan switch. It has an “on” and an “auto” setting. When the “on” setting is selected, the fan runs all the time. You may wonder if it is better to leave the fan running or to set it on auto so that it turns on and off with the cooling cycle. The answer depends on your desired result. From an energy standpoint, you will use less energy and save money using the automatic feature. But if you want more even cooling in your home, then running the fan all the time will certainly achieve those results.